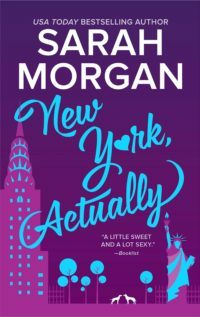 Meet Molly—New York's most famous advice columnist, she considers herself an expert at relationships...as long as they're other people's. Still bruised from her last breakup, Molly is in no rush to find happily-ever-after—the only love of her life is her dalmatian, Valentine. Dear Aggie, I bought my girlfriend an expensive coffee machine for her birthday. First she cried, then she sold it on eBay. I don’t understand women. Dear Decaffeinated, the important question to ask yourself in any relationship is what does your partner want? What makes them happy? Without knowing all the details it’s impossible to know exactly why your girlfriend cried and sold the coffee machine, but the first question that comes to mind is—does your girlfriend drink coffee? The body on the bed didn’t stir, but that wasn’t surprising given the amount of exercise they’d both had the day before. The hours they’d spent in each other’s company had left her sweaty and exhausted. Her body ached, a reminder that although her fitness levels increased since she met him, his stamina still surpassed hers. His relentless energy was one of the many things she admired about him. Whenever she was tempted to skip an exercise session, all it took was one look from him to have her reaching for her running shoes. He was the reason she’d lost weight since arriving in New York City three years earlier. Some days she looked in the mirror and barely recognized herself. She looked slimmer and more toned. Best of all she looked happy. If someone from her old life walked in now, they probably wouldn’t recognize her. Not that anyone from her old life was likely to show up on her doorstep. Three years had passed. Three years, and she had finally rebuilt her shredded reputation. Professionally, she was back on track. Personally? She glanced at the bed again, feeling something soften inside her. She hadn’t imagined ever getting close to anyone again, certainly not close enough to let them into her life or her home, and definitely not her heart. And yet here she was, in love. She allowed her gaze to linger on the perfect lines of his athletic body, before returning her attention to her email. She was lucky so many men struggled to understand women. If they didn’t, she’d be out of a job. Her blog, Ask a Girl, attracted a large volume of traffic and that, in turn, had attracted the attention of a publisher. Her first book, Mate for Life, Tools for Meeting Your Perfect Life Partner had hit the bestseller lists in both the US and the UK. That, in turn, had led to a second book deal, all under her pseudonym Aggie, which meant that she had both anonymity and financial security. She’d turned misfortune into a fortune. Well, maybe not a fortune exactly, but enough to enable her to live comfortably in New York City and not to have to limp back to London. She’d left one life and moved on to a new one, like a snake shedding its skin. Finally, her past was exactly where it should be. Behind her. And she made a point of never looking in her rearview mirror. Happy, she settled herself more comfortably in her favorite chair and shifted her focus to her laptop. “And here’s the important part, Decaffeinated, so pay attention,” she muttered under her breath. —something that no other person would think to buy her, because no one knows her like you do. Do that, and I guarantee your girlfriend will remember that birthday forever. And she’ll remember you. Satisfied that if the man listened to her advice he might have a half-decent chance of pleasing the woman he loved, Molly reached for her glass of filtered water and checked the time on her laptop. Time for her morning run. And she didn’t intend to go alone. No matter how busy her working day, this was time they always spent together. Shutting down her computer, she stood up and stretched, feeling the whisper of silk brush against her skin. She’d been typing for an hour while barely moving and her neck ached. She still had a stack of individual consultations waiting for her attention, but she’d deal with those later. She glanced through the window, watching as darkness slowly melted away to be replaced by a wash of sunshine. For a moment the view was filled with streaks of burnt gold and the dazzle of glass. It was a city of sharp edges and towering possibilities, its darker side masked by the shimmer of sunshine. Every other city would be waking up at this time, but this was New York. You couldn’t wake up, when you’d never been to sleep. She dressed quickly, swapping pajamas for a soft T-shirt, Lycra leggings and her favorite dark purple running shoes. At the last moment she grabbed a sweatshirt because an early spring morning in New York City could still bite through a layer of clothing. Scooping her hair into a careless ponytail, she reached for a water bottle. There was still no movement from the bed. He lay in a tangle of bedding, eyes closed, not stirring. “Hey, handsome.” Amused, she nudged him. “Did I finally wear you out yesterday? That’s a first.” He was in his prime. Fit and shockingly attractive. When they ran together in the park, heads turned in envy and it made her glow with pride because they could look, but she was the one who got to go home with him. In this world where it was almost impossible to find the right person, she’d found someone who was protective, loyal and affectionate, and he was all hers. She knew, deep in her heart, that she could depend on him. She knew, even without marriage vows, that he was going to love her in sickness and in health, for richer for poorer, for better or for worse. She was lucky, lucky, lucky. What they shared was free of all the stress and challenges that so often marred a relationship. What they shared was perfect. She watched, her heart filled with love, as he finally yawned and stretched slowly. Dark eyes locked on hers. He sprang from the bed, tail wagging, ready for action, and Molly dropped to her knees to hug him. The Dalmation gave a single bark, licked her face and Molly grinned. Another day was dawning in New York City, and she was ready to roll. He thought about the girl in the park, with her endless legs and that sleek dark ponytail swinging like a pendulum across her back as she ran. 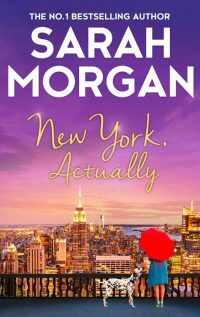 Since the first day he’d seen her, pounding her way along one of the many leafy trails that cobwebbed through Central Park, with her dog bounding ahead of her, he’d been smitten. It wasn’t just her hair that caught his attention, or those incredible legs. It was the air of confidence. Daniel was drawn to confidence, and this woman looked as if she had life by the throat and was strangling the hell out of it. He’d always enjoyed his early-morning run. Lately it had taken on a new dimension. He’d started timing his run to coincide with hers even though it meant arriving in the office a little later. Despite those sacrifices on his part, so far she hadn’t even noticed him. Did that surprise him? Yes. When it came to women, he’d never had to try too hard. Women tended to notice him. However, the girl in the park seemed unusually preoccupied by her running and her dog, a situation that had led him to the decision that it was time to raise his game and tap into his creative side. But first he had to talk his way past one of his sisters and so far that wasn’t looking good. He’d been hoping for Harriet, but instead he’d gotten Fliss who was much tougher to get around. Finally Daniel looked up. He studied her closely, wondering if he’d made a mistake. Then he shook his head. “No, you’re Fliss.” It was a game the twins had played on him hundreds of time growing up. His score was 100 per cent. They’d never fooled him yet. “It’s not sexist, and I’m not telling you to be soft. I’m giving advice on how you might be able to convince some poor fool you’re Harriet. And that’s not me, by the way, so don’t waste your time.” He looked up as the door opened. “Breakfast is ready. I made your favorite. Pancakes with a side of crispy bacon.” Harriet walked into the room carrying a tray. She had the same hair as her sister, a smooth, buttermilk blond, but she wore hers pinned haphazardly at the back of her head, as if her objective was simply to move it out of the way so it didn’t interfere with her day. Physically, they were identical. They had the same delicate features, the same blue eyes, the same heart-shaped face. Temperamentally, they couldn’t have been more different. Harriet was thoughtful and calm. Fliss was impulsive and fierce. Harriet loved yoga and Pilates. Fliss favored kickboxing and karate. How, Daniel wondered, could three siblings from the same family be so different? And how could twins, who on the surface were indistinguishable to most people, bear no resemblance on the inside? “I hate it when you fight.” The anxious look in Harriet’s eyes made him feel guilty and he exchanged glances with Fliss. It was a glance they’d shared a million times over the years. A tacit agreement to suspend hostilities until Harriet wasn’t in the room. They’d all developed their own way of coping with conflict. Harriet’s was to hide from it. As a child, she’d hidden under the table to avoid the screaming fights that had been part of their early family life. On one occasion Daniel had tried dragging her out to remove her from the fallout. Her eyes had been squeezed shut and her hands over her ears, as if not being able to see it or hear it might mean it wasn’t happening. Remembering how impatient he’d felt at the time, Daniel felt a needle of guilt. They had all been so self-absorbed, his parents included, that none of them had understood what was going on with Harriet. It had become apparent in the most public way possible and even now, twenty years later, he couldn’t think about that evening at the school without breaking into a sweat. On the surface Harriet didn’t appear to be particularly tough, but he and Fliss had learned that there were different kinds of tough. Despite appearances, Harriet was made of solid steel. He watched as she set the tray down and carefully unloaded plates of food and napkins. Napkins. Who bothered with napkins for a casual breakfast with family? Harriet bothered. She was the architect of all domestic comfort in the apartment she shared with her twin. There were times when he wondered if the three of them would still be a family if it weren’t for Harriet. As a child she’d had an obsession with her dolls and her dolls’ house. With the insensitivity of an eight-year-old, he’d dismissed it as a typically girl activity but now, looking back, he could see that she’d been constructing something she didn’t have, clinging to her image of home and family when their own had fallen short. She’d found some semblance of stability in her own private world, whereas he and Fliss had found other ways to dodge the cracks and the shifting emotional landscape of their parents’ marriage. When Harriet and Fliss had moved into the apartment, Harriet had been the one to make it a home. She’d painted the walls a sunlit yellow and chosen a rug in muted shades of green to soften the wooden floor. Hers was the hand that arranged the flowers on the table, plumped the cushions on the sofas and tended the plants that clustered together in a junglelike profusion of green. Fliss would never choose to own a plant. Like him, she wouldn’t want the responsibility for something that required care and attention. It was the reason neither of them had any interest in a long-term relationship. The only difference between them was that Fliss had tried. Only once, but still it was enough for Fliss to feel she had proved her point. Been there. Done that. None of them talked about it. The Knight siblings had learned that the only way to make it through a bad day, a bad month or a bad year was to keep moving forward. Daniel stole a piece of bacon from the plate and Harriet slapped his hand gently. Daniel frowned at the implication that he only saw them whenever he wanted to be fed. Was that true? No. He visited because despite, or perhaps because, of his combative relationship with Fliss, he liked seeing his sisters. And he liked to keep an eye on Harriet. But it was true that his visits almost always coincided with food. As long as that food was prepared by Harriet, he was happy. Fliss could burn water. “I had a message from the office, so this is a flying visit. But it’s good to see you.” On impulse he stood up and hugged his sister and heard Fliss mutter something under her breath. “Fall for what?” Harriet hugged him back, and Daniel felt a rush of protectiveness. He knew she had found her perfect niche in life, but still he worried about her. If Fliss had a problem, the whole of Manhattan would know within minutes. Harriet kept things to herself. “—makes a woman decide to stay single?” Fliss helped herself to another pancake. Daniel caught Fliss’s eye. Neither of them was in a position to offer advice on that subject. Daniel reached for his jacket. “Here’s a tip from inside the mind of a guy. Stop being cranky or you’ll never get a date.” He watched his sister’s face turn puce. Enjoyed the extract? Why not pre-order now, using the links at the top of the page.